kingmike210 | boredinSA "entertain yourself..."
The University of Texas at Austin may not be the top-ranking school in the state, according to Forbes magazine’s annual top colleges list, but the Longhorns aren’t far behind. Forbes gave UT the No. 66 spot on the list released Wednesday, behind No. 33 Rice University in Houston. Stanford Universitytook top honors, followed by Pomona College and Princeton University. Forbes ranks American universities in partnership with nonprofit research organization Center for College Affordability and Productivity. Schools are compared on 12 factors relating to student satisfaction, post graduation success, graduation rate, student debt and nationally competitive awards. Forbes has also ranked UT as No. 37 among top research universities and No. 10 among colleges in the South. 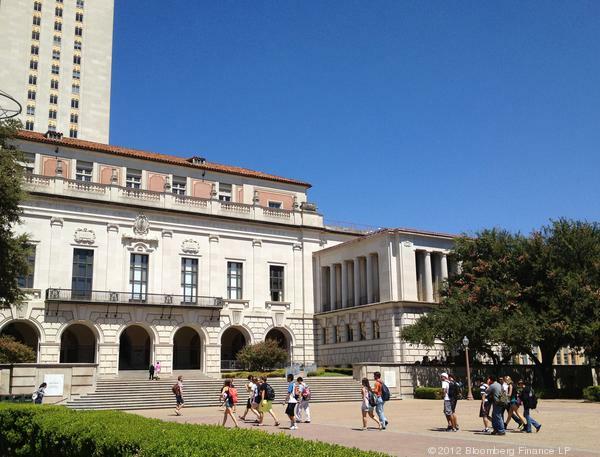 Read more here about the list and see what other Texas universities made the cut.